South Korea stayed steady at No. 57 in the latest FIFA rankings announced Thursday in the wake of the 2018 World Cup. 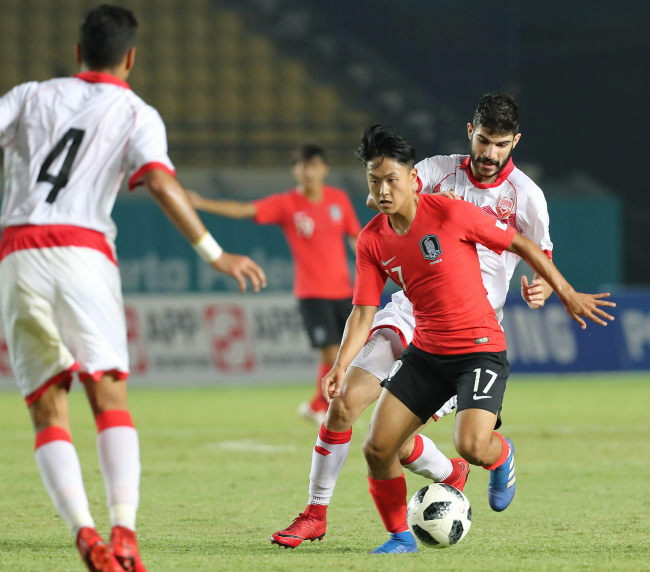 According to FIFA's August rankings, South Korea remained in 57th place with 1,387 points following their performance at the 2018 World Cup in Russia. South Korea were eliminated in the group stage at the 2018 World Cup with one win and two losses. They beat the defending champions Germany 2-0, but lost to Sweden 1-0 and suffered a 2-1 defeat to Mexico. South Korea had the fourth highest ranking among the Asian Football Confederation (AFC) members. Iran were the top Asian team at No. 32, followed by Australia at No. 43 and Japan at No. 55. France, the winners of the 2018 World Cup, climbed six spots to top the rankings. Croatia, the runners-up in the top FIFA tournament, were ranked No. 4. Germany gave up their top dog status with their shocking World Cup group stage exit. The Germans dived 14 spots to No. 15.